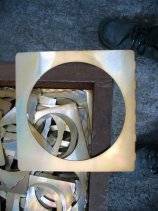 General Metal Finishing is using the iron phosphate pretreatment. 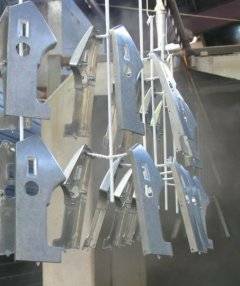 Iron phosphate conversion coating is a very important pretreatment process, adding significantly to the performance of the finish coating. 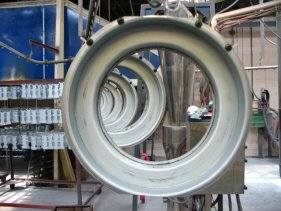 A phosphate coating converts the metal substrate to a uniform, inert surface, which improves bonding, minimizes the spread of oxidation if the coating is scratched and improves the over-all resistance of the component. 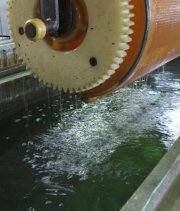 Parts are subjected to an acidic bath and a chemical conversion forms in a complete film on the part of the surface, changing the chemical and physical nature of the metal surface.